Blind Fish, Bats, and Slimy Rock. Sounds Cozy. Who doesn’t love spending an hour-ish in a dimly lit space, with water dripping on your head, and trying desperately not to rub against slimy looking green rocks? Count me in. I LOVE it! 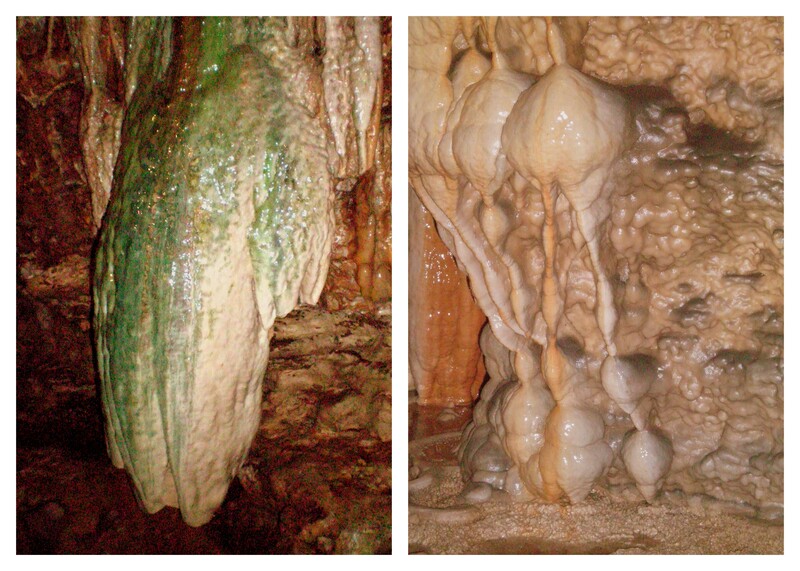 Linville Caverns in North Carolina takes you inside a mountain. That’s pretty damn cool. 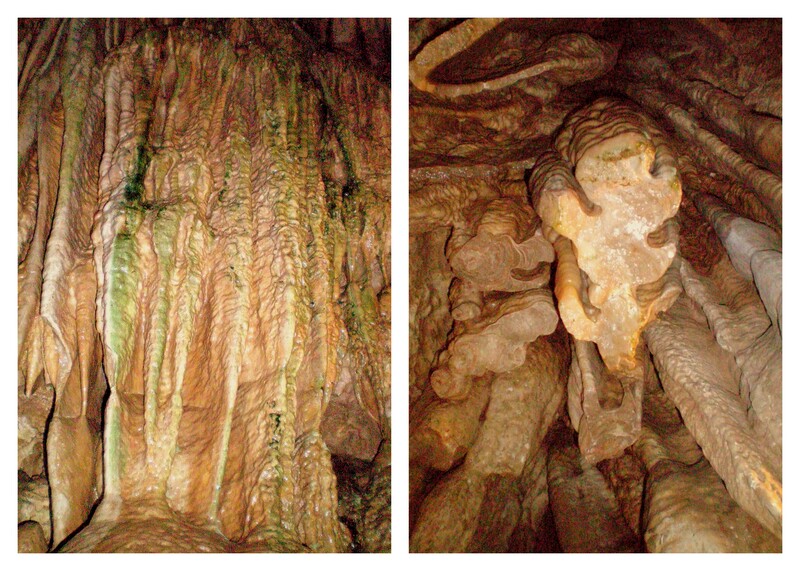 Caverns can form only in limestone, which is porous rock. Most mountains are granite, but sometimes, like in this region of North Carolina, limestone is both tall and cavernous. How Does your Cavern Grow? It takes a day for rain water to seep through the rock and affect the cavern. Then millimeter by millimeter, the rock formations grow. There are two places in the world that have complete, natural darkness: a cavern and an abyss in the sea. The fish who live inside are blind – no light = no sight. And bats hibernate for six months. Do you love caverns and caves? Me, too! Read about Blanchard Springs Cavern in Arkansas. Do you like to explore these kind of spaces or do you feel closed in?